Sessions’ decision to fire McCabe comes after the former No. 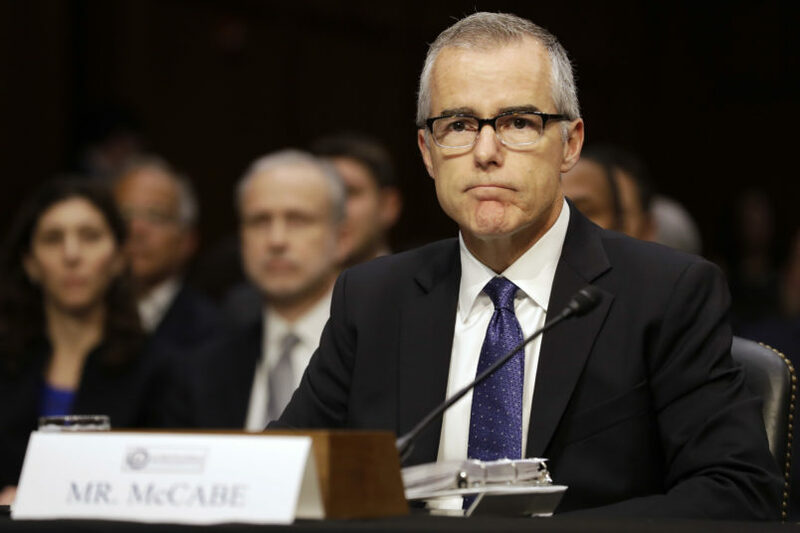 2 at the bureau was oft-targeted by President Trump, who had zeroed in the Democratic state legislative campaign McCabe’s wife ran and lost in 2015 as dubious evidence of political bias. McCabe vehemently denied the allegations of dishonesty, raising the specter that the actions against him were meant to impair his credibility as a witness against President Trump for the firing of FBI Director James Comey. McCabe has served in the FBI for more than two decades, and for a time was its acting director — after Trump fired ex-FBI Director James Comey and while the current FBI Director Christopher Wray awaited confirmation. “It’s incredibly unfair to my reputation after a 21-year career,” Mr. McCabe told The Times. The Justice Department inspector general’s inquiry into the Department’s handling of 2016-related matters reportedly examined McCabe-condoned leaks to the media about the Clinton email investigation. The Washington Post and New York Times this week reported that McCabe has been accused of a lack of candor in the IG’s investigation. Wray alluded to the IG report in an email to FBI staff in January announcing that McCabe was stepping down early from his role as deputy director. McCabe used his remaining vacation days to go on leave; he would have been eligible for full retirement benefits on Sunday. This week the FBI’s Office of Professional Responsibility made the recommendation that McCabe fired, putting the decision on Sessions. But it may be weeks before the report is released, so the full scope of McCabe’s alleged misconduct remains unclear. Trump’s repeated attacks on McCabe and the FBI at large inevitably raises questions as to whether his firing was politically motivated. There has been speculation that Trump may be considering firing Sessions himself out of frustration that Sessions recused himself from the Russia investigation. Just before the 2016 election, the Wall Street Journal reported that McCabe’s wife’s failed 2015 Virginia state senatorial campaign received contributions from a political group linked to then-Virginia Gov. Terry McAuliffe, a Hillary Clinton ally. McCabe sought the counsel of the FBI’s ethics office on avoiding conflicts due his wife’s campaign; he did not assume oversight of the Clinton email investigation until February 2016 — three months after his wife’s loss — when he was elevated to FBI deputy director, FBI documents show. Nonetheless, Trump has repeatedly used to his wife campaign’s connection to McAuliffe to smear McCabe. On a phone call with McCabe the day after Comey was fired, Trump took a personal swing at his wife and asked McCabe how it felt for her to be a loser, NBC News reported. Ironically, the story that reportedly put McCabe in the inspector general’s crosshairs is one that likely hurt Clinton and helped Trump. According to the New York Times, McCabe authorized top aides and press officials to participate in a Oct. 30, 2016,Wall Street Journal story, which showed a turf war over the handling of the Clinton email probe. It came just a week after the Journal story revealing the McAuliffe-linked campaign contributions to McCabe’s wife. The inspector general has found that in its review of the press leaks, McCabe was not forthcoming — a fireable offense, according to the New York Times. A person familiar with the case told the Washington Post that McCabe has denied misleading investigators.